The beauty of this newly remodeled house in the heart of wine country is unparalleled on the North Fork. Pull up to the house and you will see amazing water views. In addition, the walk to the long island sound is 5 minutes, where you will have full access to the water and the sandy beach. The property is ideal for a single person, a couple, or a small family and includes everything you need for a perfect vacation. With ample room, a full sized bedroom loft, washer dryer, and all new amenities you will step into an amazing property and will not want to leave. In addition, within minutes you can be wine tasting at many award-winning wineries. Restaurants and antique stores are close by, as well as other local produce and cheese stands. 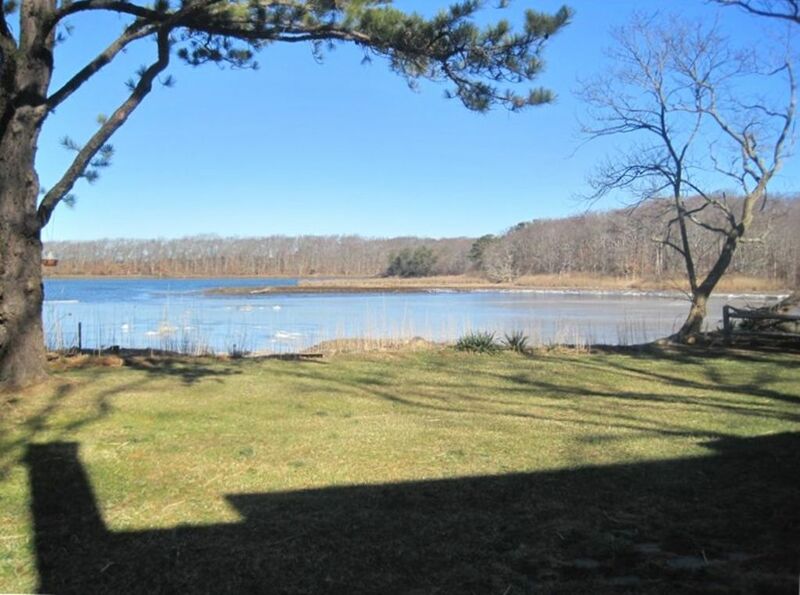 Most people have to choose between water or wineries when they visit the North Fork - with this property you have both! Our family lives and works on the North Fork. Unique benefits include water views, newly refurbished accommodations, full washer/dryer, access to wine country. The house is located on Goldsmiths inlet. Great for Kayaking and fishing. Only a five minute walk to the Long Island sound with a beautiful sandy beach. Provide filters just bring your favorite brew. Has everything you need for a weekend getaway or a long vacation. Peconic Bike Rental: Bikes are picked up and delivered to the house. Call 631 445-0398 to make a reservation. $30/day includes helmets and locks. Table seats six with umbrella. Adorable and cozy, a beautiful cottage with a tranquil water view. really great view & location. Clean & Comfortable. Love this little beach house! Great location. An easy and very relaxing vacation. View is inspiring! A super sweet spot for us while we attended our friends wedding close by. Perfect for our small family. This home is in a great location with wonderful serene views. It is minutes from the beach and if you like to run outside, it is a great neighborhood for long runs under tall shaded trees. Pindar gifted us with two wonderful bottles of local Northfork wines, which we thoroughly enjoyed. The House was perfect for my small family and it had everything we needed while we were there. The only improvement would be to have a guide book that gave information about features of the house and general information of the area (good restaurants, closest grocery, areas of interest, etc). Other than that we enjoyed our stay! This was my second time staying at this property and I loved it as much as the first time. Short walk to the beach, beautiful view and a very comfortable house. It's a short drive to shops, restaurants, wineries and breweries. Pindar is a great host as well.